Direct from France, from the makers of Ciroc Vodka comes a new group of Vermouth using selected wines and Pineau des Charantes, a regional specialty from the west coast of France. La Quintinye Vermouth Royal comes in 3 varietals, including the rouge which is what I recently had the pleasure of trying. Vermouth is an essential ingredient in many cocktails. The Rouge is a deliciously complex vermouth made from a base of 28 botanicals which adds an herbal twist when mixed in a cocktail. It does however standup well used in a Negroni and also a Manhattan. I tried it in a Boulevardier Cocktail, and loved the spice it added to the drink. 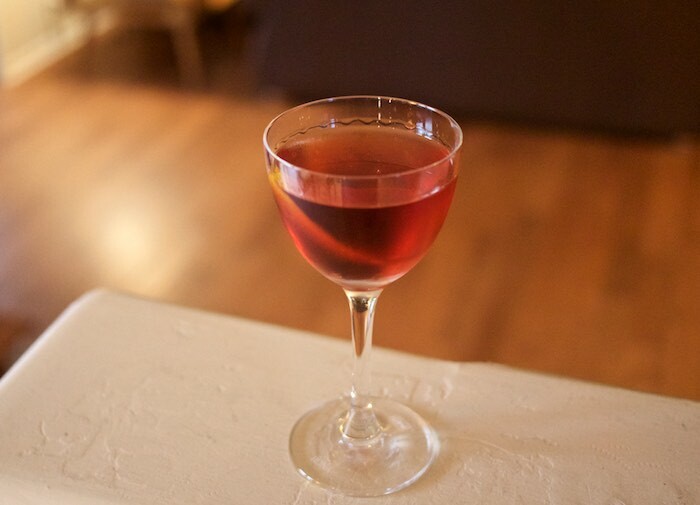 The Boulevardier is a variation of the classic Negroni using the same formula but swapping out the gin for rye. Add all the ingredients to a cocktail shaker filled with ice and shake to combine. Stir, and strain into a cocktail glass. Garnish with an orange twist. I received product for writing this post, but all opinions are my own. I had vermouth in a cocktail last year for the first time. Loved it!! I need to try this! Oh, this sounds nice - perfect way to kick off the weekend! This is a fabulous cocktail - it's definitely 5 o'clock somewhere - I need to try this! I am passing this recipe to my husband. He is the mixologist of the house and this sounds like something he would give it a try. Sounds like a lovely way to finish off the week (or start the weekend!). What a fantastic happy hour cocktail!